Produktinformationen "Arduino® Uno WiFi Rev2"
The Wi-Fi Module is a self-contained SoC with integrated TCP/IP protocol stack that can provide access to a Wi-Fi network, or act as an access point. It supports OTA (over-the-air) programming, either for transfer of Arduino sketches or Wi-Fi firmware. 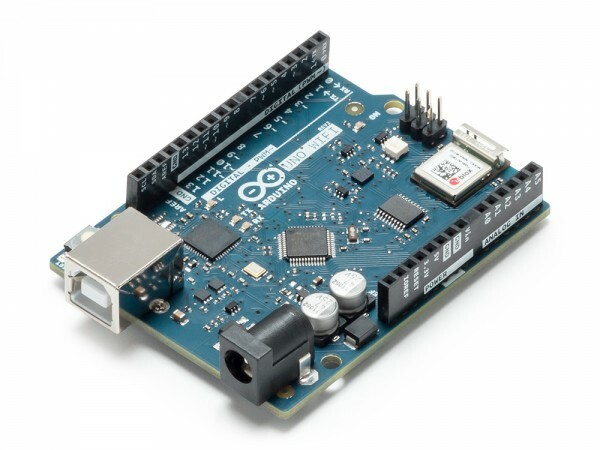 The Arduino Uno WiFi has 14 digital input/output pins—6 can be used as PWM outputs—6 analog inputs, a 16 MHz ceramic resonator, a USB connection, a power jack, an ICSP header, and a reset button. It contains everything needed to support the microcontroller. Simply connect it to a computer with a USB cable or power it with an AC adapter or battery to get started. Weiterführende Links zu "Arduino® Uno WiFi Rev2"